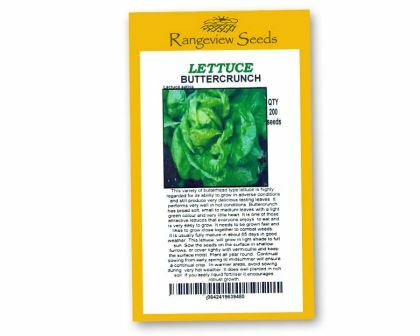 This variety of butterhead type lettuce is highly regarded for its ability to grow in adverse conditions and still produce very delicious tasting leaves. It performs very well in hot Buttercrunch has broad soft, small to medium leaves with a light green colour and very little heart. 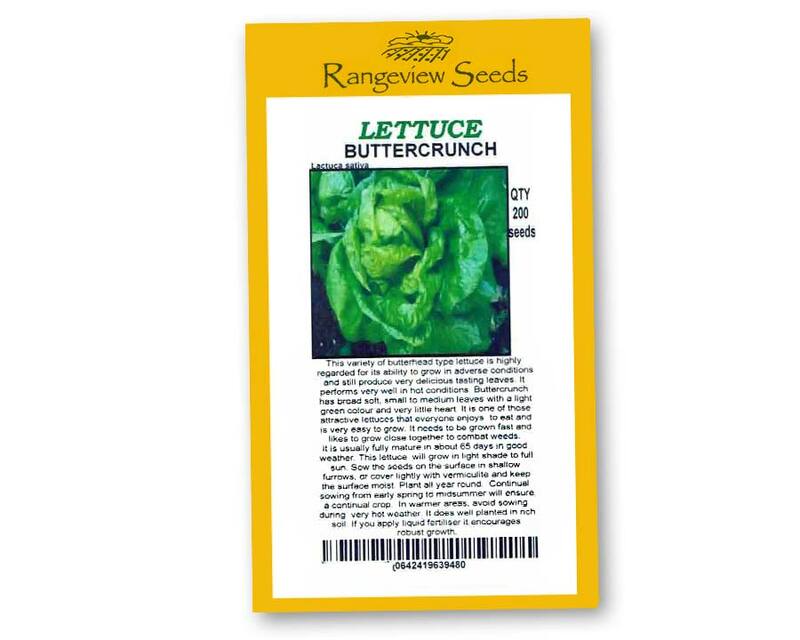 It is one of those attractive lettuces that everyone enjoys to eat and is very easy to grow. It needs to be grown fast and likes to grow close together to combat weeds and is usually fully mature in about 65 days in good weather. This lettuce will grow in light shade to full sun. Sow the seeds on the surface in shallow furrows, or cover lightly with vermiculite and keep the surface moist. Plant all year round. Continual sowing from early spring to midsummer will ensure a continual crop. In warmer areas, avoid sowing during very hot weather. It does well planted in rich soil. If you apply liquid fertiliser it encourages robust growth.